Due out in May 2018 for $39.99. Capcom has announced Street Fighter 30th Anniversary Collection for PlayStation 4, Xbox One, Switch, and PC. Developed by Digital Eclipse, it will launch in May 2018 for $39.99. Celebrate the 30th Anniversary of the iconic Street Fighter franchise with the ultimate tribute to its arcade legacy in the Street Fighter 30th Anniversary Collection on PlayStation 4, Xbox One, Nintendo Switch, and Windows PC in May 2018. This content-rich all-in-one package highlights the series’ past in an anthology of 12 classic titles with arcade-perfect balancing including the original Street Fighter, Street Fighter II, Street Fighter II: Champion Edition, Street Fighter II: Hyper Fighting, Super Street Fighter II, Super Street Fighter II: Turbo, Street Fighter Alpha, Street Fighter Alpha 2, Street Fighter Alpha 3, Street Fighter III, Street Fighter III: 2nd Impact, and Street Fighter III: Third Strike. The collection also offers a definitive online experience acrossfour of the included titles; Street Fighter II: Hyper Fighting, Super Street Fighter II: Turbo, Street Fighter Alpha 3, and Street Fighter III: Third Strike. Street Fighter players can recreate the classic arcade gaming experience by competing against the CPU whilst waiting for friends in online battles where they can put their fighting skills to the ultimate test. Fans of the series can also enjoy diving into the past 30 years of Street Fighter history with rich character bios, a huge Museum Mode including never before seen art and interactive timeline, and listen to tracks in the Music Player. Celebrate 30 years of the most iconic fighting game series – The hit series with over 39 million units in global sales returns for its 30th anniversary celebration with a compilation of 12 classic arcade titles in one package on PlayStation 4, Xbox One, Nintendo Switch, and Windows PC. 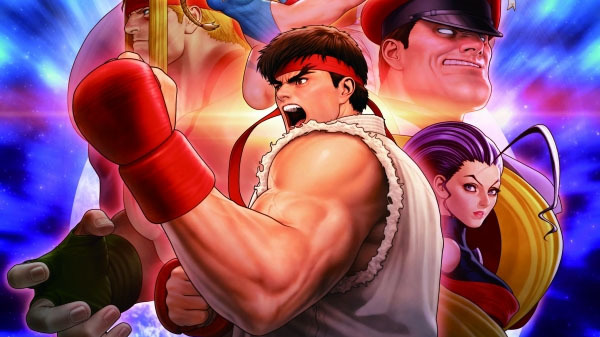 Relive the titles that made gaming history – Includes the original Street Fighter released in 1987 which introduced two of gaming’s most famous heroes, Ryu and Ken. Additionally, the iconic Street Fighter II became the first ever one-on-one video game that gave players a choice of characters, including the debut of the series’ strongest female Chun-Li. Street Fighter III continued the core numbered series and was the first game to introduce the parry attack. New gameplay options including online play – Players can utilize save states as they progress through the game offline. In addition, players can duke it out online in four classic titles (Street Fighter II: Hyper Fighting, Super Street Fighter II: Turbo, Street Fighter Alpha 3, and Street Fighter III: Third Strike). In addition to Ranked and Casual Match options, up to four players can join a lobby where they can play against the CPU while waiting for their match. Each title will have their own Global leaderboard and the “rewind” tech ensures low-latency online battles. Hadoken your way down memory lane – Revisit historic moments from the series and explore an interactive timeline of events that helped create one of the world’s leading fighting game series. View stunning pieces of concept art and uncover little known facts behind each game release. Learn more about fan-favorite characters – Scroll through character bios and learn new details about series favorites whilst enjoying sprites and key animations to see how the classic fighters have evolved over time. Remember the tunes! – Sit back and enjoy the most memorable Street Fighter tracks from the collection in the Music Player. Watch the debut trailer below. View the first screenshots at the gallery.